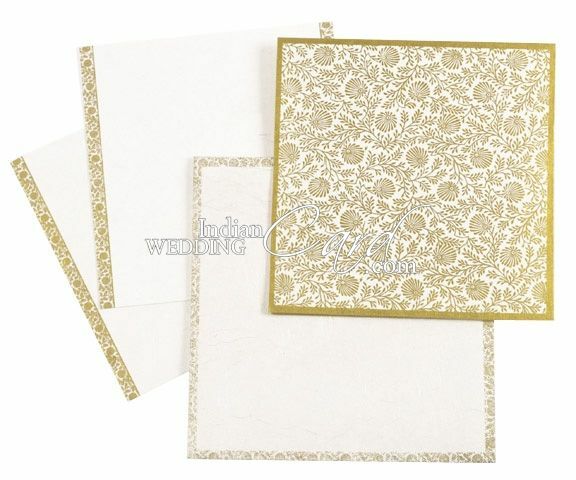 D-484, White Color, Handmade Paper, Designer Multifaith Invitations, Anniversary Invitations. 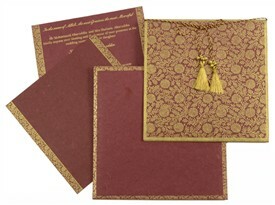 The front of this card has golden border and a base design of golden printed floral motifs composition. 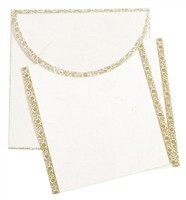 A white & gold silk tassel gives the card a somber look. 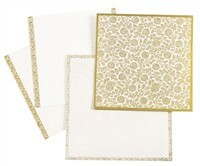 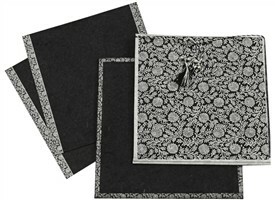 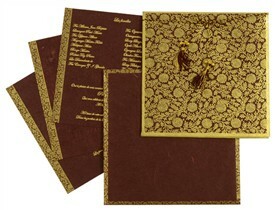 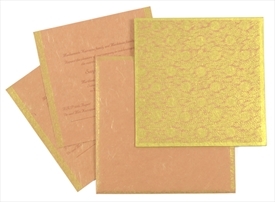 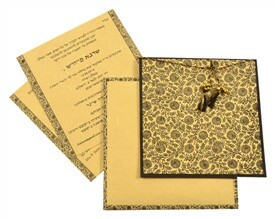 The docket has golden border and the inserts have golden strip border design with floral motifs. 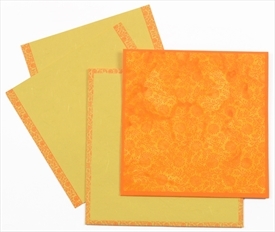 The envelope has a similar border design as the inserts.